WS Gilbert’s words have never been more appropriate. The Asian hornet, over an inch long and lethal, is thought to have arrived into Europe in a consignment of china from China. Who says climate change doesn’t matter? This beast has already killed six people in France, and with April set to be the hottest in a century, unseasonably warm springs may tempt it here. Then woe betide our honey bees. A single hornet, watching a hive, can eat fifty a day. With the hive entrance staked out, the bee has nowhere else to go. There’s no such thing as a solitary bee, my beekeeping course taught, when we set up our hive – so productive in London that even our large, honey-loving family couldn’t eat it all. Honey bees, like humans, live in society or not at all. One cut off from her fellows will die. The colony is the creature. Without the Queen, all are lost: without her workers, so is she. Like Saint Paul’s image of community as a body with many members, all need each other. Some are revered, some invisible, all necessary. If we were all eyes, how would we hear? When we moved, my vet-trained daughter persuaded me into Natural Beekeeping: less intensive, less interventionist and far less work. Much happier bees too: important for me, so sensitive to stings my family called an ambulance when my lips went numb and my words jumbled. “Am I allergic?” I eventually managed to ask the doctor, though I tested negative long ago. “Not at all,” he said. The bee was doing her job. A sting is a weapon of war. Like humans, bees can be foolish. A two-day raid and pitch-battle last summer left thousands of scattered bodies. Two colonies ravaged, over the theft of honey in a time of plenty. The animal rights campaigner on the telly was consistent. Whenever humans interact with other species, we exploit. He’d even given away his pet dog. But, I asked him, what about the honey bee? Einstein is credited with predicting the death of mankind within four years of the bee’s demise. Without bees, your pizza would have no tomato, no olives, no mozzarella… only the boring wind-pollinated base. Since the attack of Varroa mite in the 1990s, bees have been just as dependent on us. Wild bees are all but gone. Without beekeepers, all could die. Then woe betide the human race. They depend on us, as we depend on them. Be fruitful, God said to humankind, and govern the world: tend every living creature within it. In my bee loud glade I watch them come and go in the sun, working all day, resting all night, learning as the summer progresses not to go in our pool and drown. 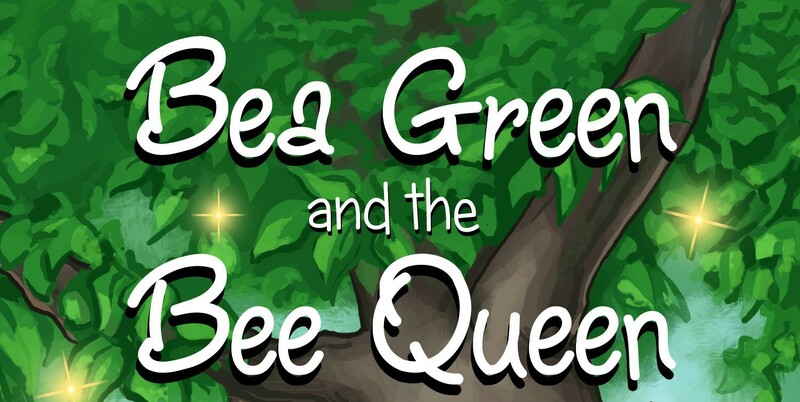 You can also read more about caring for honeybees in my new book Bea Green and the Bee Queen by clicking on the highlighted link. This entry was posted in books and tagged Anne Atkins, BBC radio 4, Bea Green and the Bee Queen, bees, Emma Owen, honeybees, Thought for the day on April 23, 2015 by Emma.